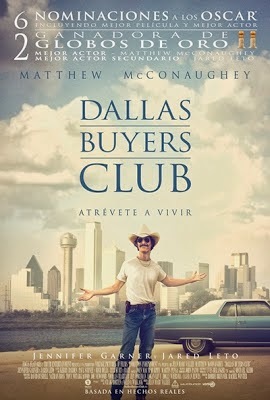 Reparto: Matthew McConaughey (Ron Woodroof), Jennifer Garner (Doctora Eve Saks), Jared Leto (Rayon), Steve Zahn, Dallas Roberts (David Wayne), Denis O'Hare, Griffin Dunne, Kevin Rankin (T.j), Lawrence Turner, Jonathan Vane, Jane McNeill (Francine Suskind). Guión: Craig Borten y Melisa Wallack. Productoras: Truth Entertainment y Voltage Pictures.